Ignoring a witch is never wise. 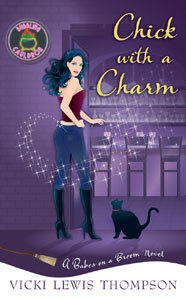 Lily Revere is free-spirited and fun-loving - two dangerous qualities in a witch. Especially one who is planning her sister's engagement party - and who needs a date! 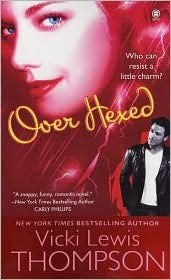 She's determined to bring hot Griffin Taylor, but he's a divorce lawyer who claims his job has warned him off romance. He may pretend he's just not into her, but she knows better - he needs only a nudge in the right direction. Slipping a love elixir into Griffin's drink may not be the noble thing to do, but it sure works! Lily's dreamboat drops all his defenses, and the two discover they're perfectly matched - in every way. There's just one problem: Are Griffin's feelings the result of some truly good witchcraft, or is he really in love? 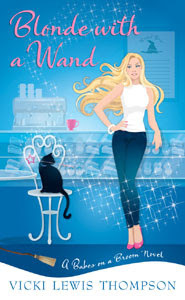 Picking up right where Blonde with a Wand left off, Chick with a Charm follows Lily Revere's misadventures in love after she administers an adoration elixir to the man of her dreams. It seemed like a great idea at the time, what with Griffin being so stubbornly set against admitting his attraction to her. But after overhearing him make a date with another woman, Lily decides that she has to act fast. She just didn't expect it to be so potent! As she and Griffin quickly become more and more involved, Lily must figure out how to discover if Griffin's feelings for her are real or merely a result of the potion. I had a couple of issues with the plot. First, Griffin explains to his friends and in inner dialogue why he is so picky in his relationships, but he never explains this to Lily, even after they get together. This seems pretty basic, and, if I were Lily, it would have been one of the first questions I'd ask. The second issue was Lily giving in to Griffin so quickly. I know, I know, there wouldn't have been a book if she hadn't gone for it. But still, it seemed beyond selfish on her part, and she should have had more self control. Those issues not withstanding, though, I think Chick with a Charm was a great wrap-up for this cute little series. 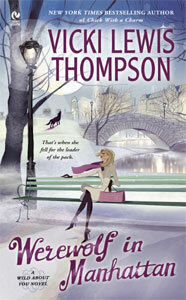 Hopefully Thompson will write another witchy paranormal series in the future so Dorcas and Ambrose can cameo again! Waiting on Wednesday is a weekly event, hosted by Breaking the Spine, that spotlights upcoming releases that we are eagerly anticipating! I like to look pretty ahead, so all of these books are set to release the week of October 15, 2013. I have been debating since the first book came out whether or not to read this series. It still sounds ridiculously good, but I may end up waiting for reviews on this one nonetheless. Helen Huntingdon is beautiful - so beautiful she has to wear an iron mask. Six months ago her sister Jane uncovered a fey plot to take over the city. Too late for Helen, who opted for fey beauty in her face - and now has to cover her face with iron she she won't be taken over, her personality erased by the bodiless fey. Not that Helen would mind that some days. Stuck in a marriage with the wealthy and controlling Alistair, she lives at the edges of her life, secretly helping Jane remove the dangerous fey beauty from the wealthy society women who paid for it. But when the chancy procedure turns deadly, Jane goes missing - and is implicated in the murder. Meanwhile, Alistair's influential clique Copperhead - whose emblem is the poisonous copperhead hydra - is out to restore humans to their humans to their "rightful" place, even to the point of destroying the dwarvven who have always been allies. Helen is determined to find her missing sister, as well as continue the good fight against the fey. But when that pits her against her own husband - and when she meets an enigmatic young revolutionary - she's pushed to discover how far she'll bend society's rules to do what's right. It may be more than her beauty at stake. It may be her honor . . . and her heart. I was already planning to pick up this series after falling in love with Hill's Erasing Time, but I just discovered that C.J. Hill also writes as Janette Rallison, who did the godmother series. I loved those books! Excuse me while I have a fangirl moment! What Tori doesn't bargain for, however, is the surprising truth about her powers: she isn't a Slayer after all, but a Dragon Lord, with a build-in predisposition for protecting dragons, not killing them. Somehow, I let For Darkness Shows the Stars slip through the cracks last year, and I have been keeping an eye reviews ever since. It looks amazing, and I plan to get my hands on it in time for Across a Star-Swept Sea's release this fall! Centuries after wars nearly destroyed civilization, the two islands of New Pacifica stand alone, a terraformed paradise where even the Reduction - the devastating brain disorder that sparked the wars - is a distant memory. Yet on the isle of Galatea, an uprising against the ruling aristocrats has turned deadly. The revolutionaries' weapon is a drug that damages their enemies' brains, and the only hope is rescue by a mysterious spy known as the Wild Poppy. On the neighboring island of Albion, no one suspects that the Wild Poppy is actually famously frivolous aristocrat Persis Blake. 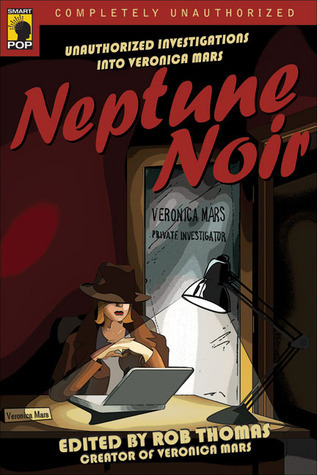 The teenager uses her shallow, socialite trappings to hide her true purpose: her gossipy flutternotes are encrypted plans, her pampered sea mink is genetically engineered for spying, and her well-publicized hew romance with handsome Galatean medic Justen Helo . . . is her most dangerous mission ever. Though Persis is falling for Justen, she can't risk showing him her true self, especially once she learns he's hiding far more than simply his disenchantment with his country's revolution and his undeniable attraction to the silly socialite he's pretending to love. His darkest secret could plunge both islands into a new dark age, and Persis realizes that when it comes to Justen Helo, she's not only risking her heart, she's risking the world she's sworn to protect. Well, it wasn't for lack of trying that there isn't a book description here. I looked all over for one! It's just as well, though - I have been waiting for this book to come out so I can read the entire trilogy all at once! #1. Bunnicula by James Howe. Vampire bunny? Yes, please! I also loved the narrator, Harold, the family dog. I still find him hilarious. As an adult, I discovered that Victor Garber (of Alias fame) narrated the audiobooks, which makes them even more enjoyable! He has such a dreamy voice! #2. Blueberries for Sal by Robert McCloskey. I had an unhealthy love for blueberries as a child, and I also love cute little bear cubs. This was the perfect mash-up. #3. The Boxcar Children by Gertrude Chandler Warner. Because who doesn't want to lead an independent life as a child? I read every single book that my grade school library had in this series. #4. The Hardy Boys by Franklin W. Dixon. These brothers were SO much cooler than Nancy Drew! I also read every Harby Boys book that my grade school library had, to the point that the librarian gave me one when I graduated. #5. Animorphs by K.A. Applegate. This one really shouldn't need explanation. Animorphs rock. #6. Replica by Marilyn Kaye. As an adoptee, I have always found stories about adopted characters fascinating. While that drew me in, though, I just really enjoyed the world in this series. #7. The Dream of the Stone by Christina Askounis. I'm still not entirely sure why I was so drawn to this book, but I read it over and over until the local library weeded it from the collection. It was reissued a few years ago, and I immediately picked up a copy. #8. The Starlight Crystal by Christopher Pike. I have read many, many Pike books over the years, but this one remains my favorite. It has some rough moments and could benefit from a rewrite (hint hint, Kevin McFadden! ), but the general storyline has stuck with me for all these years. #9. The Vampire Diaries by L.J. Smith. 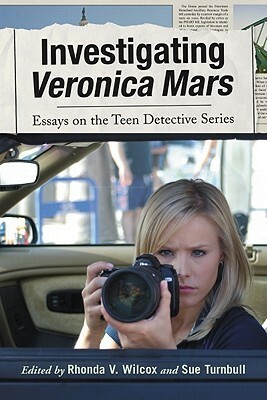 This series may have been the beginning of my fascination with paranormal fiction. #10. Sweep by Cate Tiernan. But if I wasn't already into paranormal fiction, this series definitely would have done it! OH MY GOD it was so good! In the year 2077, the ruthless leaders of the terrorist group Liber8 escape execution by time traveling to 2012, taking tough-as-nails cop Kiera Cameron with them. A stranger in a strange land, Kiera poses as a government agent and joins forces with police detective Carlos Fonnegra and teen tech wizard Alec Sadler to capture the terrorists before they can alter the future and turn the world upside down. I know, I know, it's not about books or even a book that landed on a screen. It's just awesome, so bear with me! I marathoned this season in one night. It's almost 7 a.m., and I am utterly exhausted . 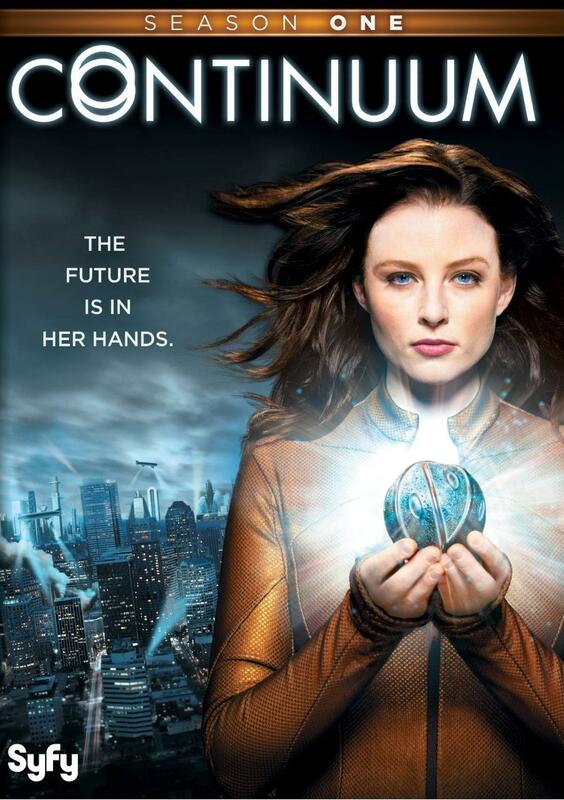 . . yet still watching the special features just to get a little more of the Continuum experience. That in itself should tell you how much I loved this show! Rachel Nichols is fabulous as Kiera Cameron. I didn't really have any knowledge of her past acting jobs, so there were no preconceived notions going in. I am a fan of Victor Webster from his Mutant X days (I know, I'm old), and I will admit that I sort of expected him to have superpowers and/or always win in a fight. It's not Victor's fault that I can't let go of Brennan Muwlray. Kiera's husband is a snake, and I thought so from the very beginning, but most of the rest are pretty good. I like all of the cops in 2012, and her kid in 2077 is absolutely adorable. Alec is adorable. He reminds me a lot of Birkoff from La Femme Nikita (you know, the good one with Peeta Wilson). Birkoff is one of my favorite tv characters of all time, so I do not make comparisons to him lightly. Time travel is a fascinating subject, especially when it's done right. Continuum is one of the few shows that handles it well. The show jumps back and forth between 2012 and 2077 - in storyline only - and it is interesting to see how the future develops, how relatively minor choices made in 2012 can affect the future. The future technology is also pretty mind-blowing, and I have to wonder how much of it is actually viable. This is such a fun show! I can't wait for season two to premiere on June 7 on SyFy (US)!!! 1x01 A STITCH IN TIME Future cop Kiera Cameron is swept along with eight ruthless terrorists who've time traveled to 2012 to escape incarceration and their planned execution. I was unsure about this in the beginning, to be honest, because time travel is always tricky to pull off. Luckily, the time travel issue was addressed in this episode, and I found it believable enough to continue watching. Kiera is not just a touch cop, she has a soft side that she's not afraid to show. She is very easy to relate to. I also liked Alec. It's a little odd that he accepts Kiera so quickly, but that's really the only questionable thing about the series so far. 1x02 FAST TIMES When Kiera learns Liber8 is trying to return to the future, she plans to go with them so she can return to her husband and son. My heart broke for Kiera in this episode. She was obviously not going to make it back to the future, as that would have ended the series in only two episodes. This one was heart-wrenching. 1x03 WASTING TIME Kiera and Carlos investigate a series of murders where the victims have been drained of their endocrine fluid. Honestly, this one had some gross moments. I could have done without the holes in the back of a bunch of people's heads. I'm not sure how realistic the science is, but the idea that parts of the human brain can be harvested and turned into a drug is incredibly creepy! 1x04 MATTER OF TIME When a scientist working on clean energy is slain, Kiera believes it might be the work of Liber8. This episode brought up some interesting concepts of ethics in time travel. Kiera allows someone to get away with one crime because of what this person contributes to society in the future. Which is more important, justice or innovation? 1x05 A TEST OF TIME Liber8 decides to eliminate Kiera's grandmother so their archenemy will never exist. My favorite episode so far! I would LOVE to meet my ancestors, and the idea that Kiera was able to do so - but could not let anything slip that could jeopardize her future - is fascinating. 1x06 TIME'S UP When Liber8 kidnaps the CEO of a major corporation, Kiera and Carlos race against time to save her. I didn't really love this episode, but I did see how it tied in with the Occupy Wall Street movement and how it made perfect sense to put that together with Liber8's manifesto. Of course a group like that, arriving in 2012, would want to put it to good use in furthering their cause. Also, Alec's stepbrother is a spoiled brat. Wow. 1x07 THE POLITICS OF TIME Kiera investigates the death of a reporter, unaware that Carlos was with the victim the same night she was murdered. TAHMOH PENIKETT!!! That should really be enough of a review. Alas, I will continue. I hate when he doesn't play a nice guy. Also, Liber8 is jumping into politics! Yikes! This could be getting pretty dicey soon. 1x08 PLAYTIME When two murder-suicides occur on the same day, Kiera and Carlos investigate the only link between them: a video game company where the shooters worked. Oh, goodness. There is some seriously disturbing technology shown in 2077. The way they brought it into 2012 was actually something that I had wondered about after discovering that she had bionic upgrades that at the very least linked with her suit and her means of communication. Very interesting. As an aside, I keep going back and forth on Kellogg, but he really came through in this episode. I wanted to hug him, just a little. 1x09 FAMILY TIME Kiera and Carlos track large quantities of stolen annonium nitrate to the farm belonging to Alec's stepfather. I was wondering when Alec would be brought more fully into the story instead of just chillin out in his computer room / barn. This storyline had a very bittersweet tinge to it - you know soon after going in that something terrible is going to happen. Looking past that, though, it was nice to see Alec show some backbone in a non-computer-related arena. I really enjoy his character, and I hope to see more of him in the future. 1x10 ENDTIME Kiera races the clock to stop a world-changing terrorist attack that was planned in 2007. HOLY TROUT, BATMAN! Endtime was very twisty and turny and completely threw me for a loop! I can't wait to jump into season two and hopefully figure out what the heck is going on in 2077 that started all of this. Once again, I really felt for Kiera in this episode. It's always difficult to see her grasp for hope and have it torn away so cruelly.